Bring your home alive again. Each of us own Microbiome, with gazillions of invisible allies that keep us safe and strong. Your home has a microbiome, too. Even "natural" products can disrupt it. 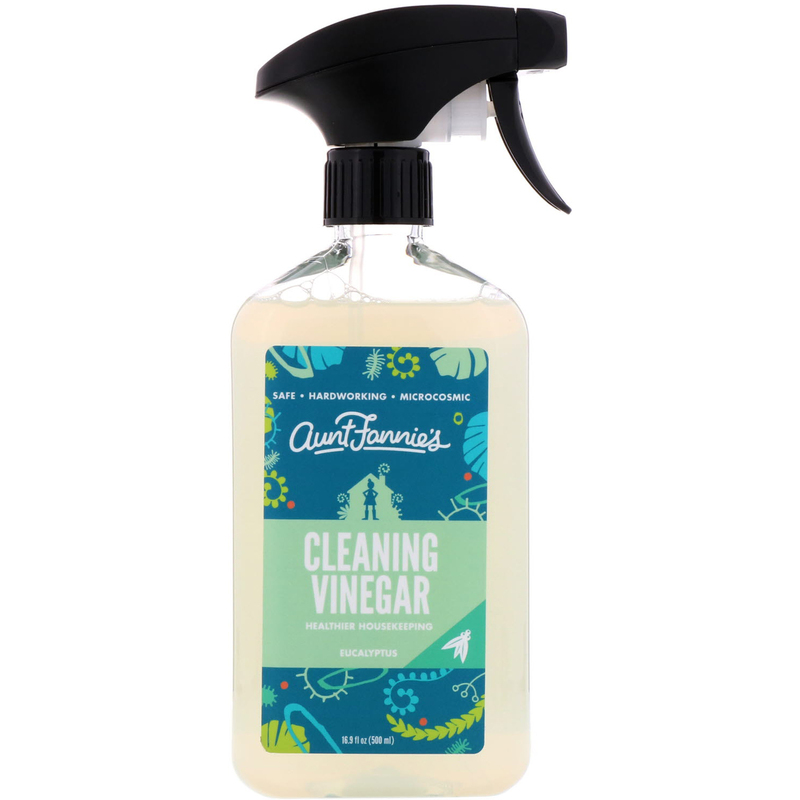 Aunt Fannie's keeps your home -and you - clean and healthy without getting rid of the good stuff. For kitchen, bath, counters and more. 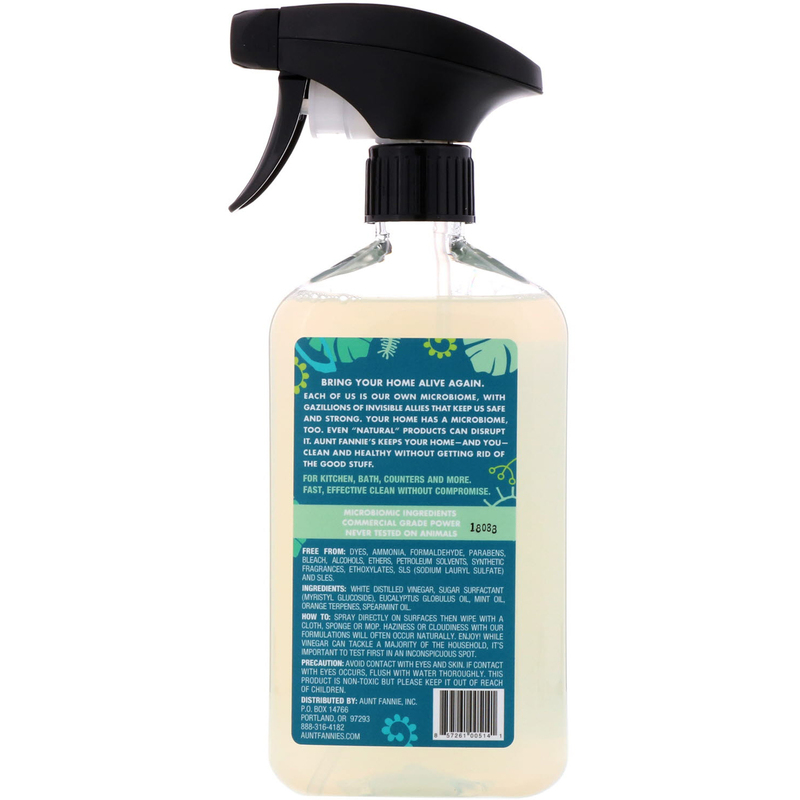 Fast, effective clean without compromise. White distilled vinegar, sugar surfactant (myristyl glucoside), eucalyptus globulus oil, mint oil, orange terpenes, spearmint oil. Precaution: Avoid contact with eyes and skin. If contact with eyes occurs, flush with water thoroughly. This product is non-toxic but please keep it out of reach of children.